The Honey Makers is an in-depth look at what is going on for bees inside and outside of the hive. The book provides detailed descriptions of the bee’s life cycle, their process of collecting pollen and making honey, and the fascinating ways they communicate. 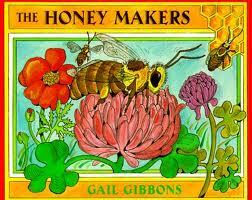 The book concludes by introducing the beekeeper and detailing the ways they care for the hive.